The Netgear AC5300 and the Netgear AC3200 are tri-band routers that are designed to improve the WiFi signal in your home. Both routers are a similar style but are a little different in price, so which one is better? We have compiled a list of the main features of both the Netgear AC5300 and the Netgear AC3200 to see which router we think is the best of the two. 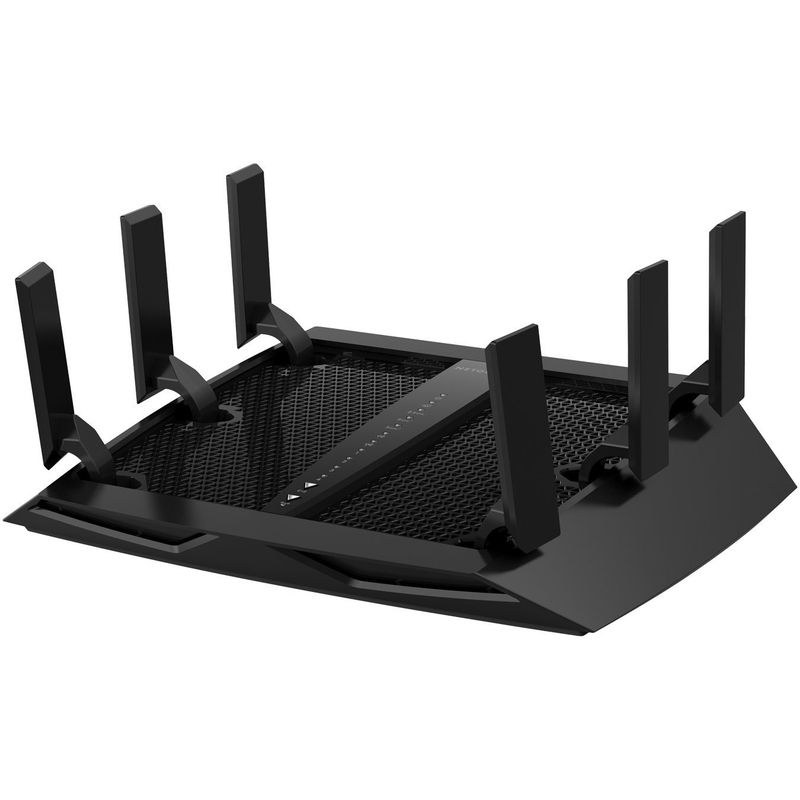 Each router operates with dual 5 GHz bands and a single 2.4 GHz band, with the Netgear AC5300 giving speeds of up to 1,000 Mbps at 2.4 GHz and up to 2,166 Mbps at 5 GHz. The Netgear AC3200 can give you speeds of up to 600 Mbps at 2.4 GHz and up to 1,300 at 5 GHz. The Netgear AC5300 benefits from a faster 1.4 GHz dual core processor, allowing you to transfer data quicker than with the AC3200 which has a 1 GHz dual core processor. Both the Netgear AC5300 and the Netgear AC3200 have the advantage of Smart Connect technology that will automatically find the best and most appropriate connection for each of your devices and will switch between the bands for efficiency. Both routers also have Dynamic QoS that will automatically prioritize your devices based on their bandwidth requirements. 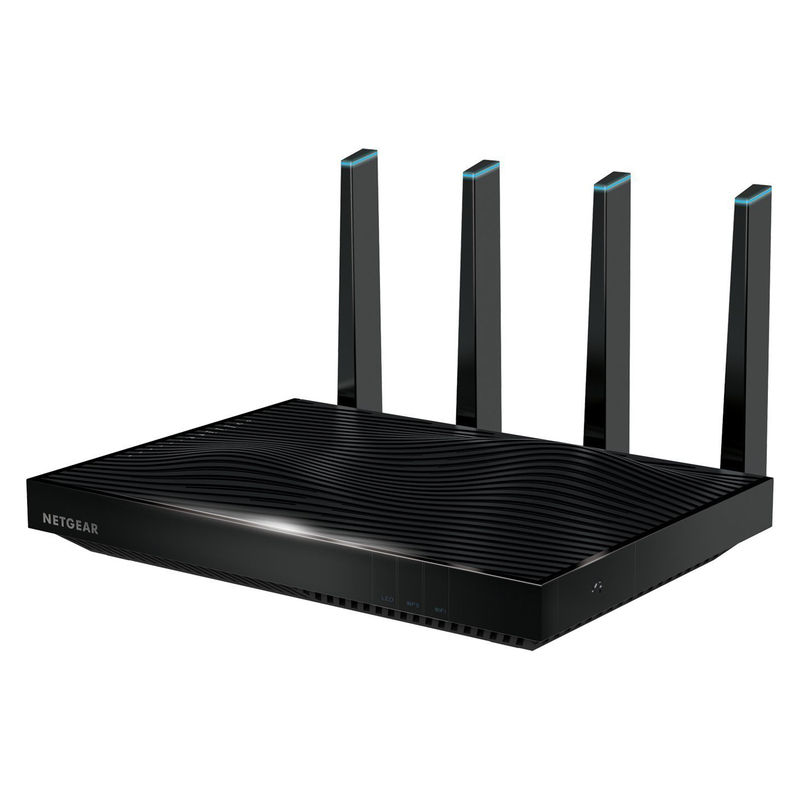 The Netgear AC5300 has the advantage of having MU-MIMO technology that gives each of your compatible devices its own fast connection speed, so multiple users can get high speeds without slowing down the network. Both routers can be accessed and monitored from an app on your phone. With both the Netgear AC5300 and the AC3200 you can set up parental controls to keep your family safe online, allowing you to control what your children are able to access while connected to your network. Each router will allow you to set up user accounts for every member of your household so you can set up limitations tailored to each user. You can manage the network settings on both routers with the corresponding app, so you can stay on top of what devices are connected to your network and monitor your security settings. 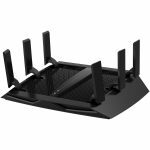 The Netgear AC5300 has 4 receiving antennas and 4 transmitting antennas, giving a stronger signal across your home compared to the AC3200 which has 3 receiving antennas as well as 3 transmitting antennas. Both routers have beamforming technology that boosts the signal to your devices instead of transmitting it into an area. The Netgear AC5300 has 6 gigabit LAN ports compared to the AC3200 which has 4 LAN ports but both routers have ports for USB 2.0 and 3.0. We have analyzed the features of both the Netgear AC5300 and the Netgear AC3200 and we think the better router is the Netgear AC3200. While the AC5300 has a lot more features and a faster processor, we don’t think it’s worth the extra cash. The AC3200 will still give you fast connection speeds and benefits from having all the essential technology that helps to maintain fast speeds in your home.